Mehmet, you were an Arif Mardin Fellow in summer 2016 at Berklee College of Music. How did you hear about this program? First of all, studying at Berklee was a big dream for me. So I started searching for opportunities to go there. I heard about the Arif Mardin Fellowship and the program from my friends who experienced it in the past years. The 5-week Summer Performance Program was a great chance to take the first step. At that time the application deadline had past, but this way I had a year to prepare my application more thoroughly. Can you tell us about your studies and your time in Boston? I had an incredible time in Boston last summer. With the help of the legendary academic team of Berklee I had classes which completely broadened my musical vision and instrumental skills. Also, I was part of the Balkan/Middle Eastern ensemble with my Oud. Together with my musician friends, we gave a concert at the Berklee Performance Center by merging our cultural and musical knowledge. During the summer I became friends with musicians from all over the world who even came to Istanbul to visit me and the other Istanbul-based musicians. How did the program and the scholarship impact your life and work? The 5-week Summer Performance Program and the honor of being awarded the Arif Mardin Fellowship by The American Turkish Society made me a more conscious musician and person. It gave me a motivational boost and it affected my musical works a lot. Being a musician in Istanbul is challenging. There are lots of great musicians in ?stanbul. From the ones who are recognized around the world to the ones who play at underground stages, I am learning things by playing with them. However, everyone has to have a distinctive feature for being recognized by the community. The Arif Mardin Fellowship gave me the necessary recognition that I need to follow my dream of becoming a full-fledged professional musician. 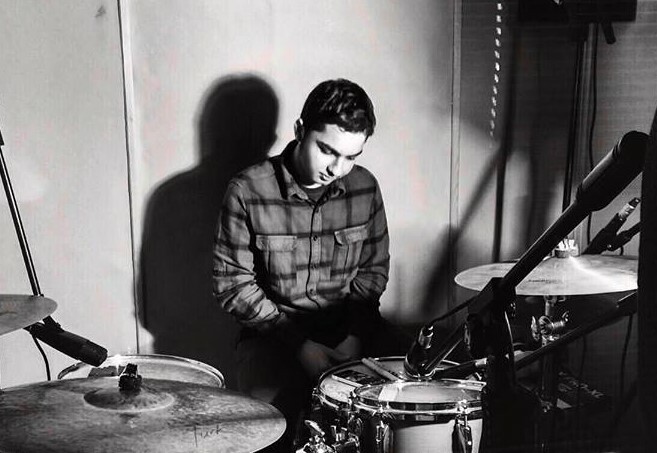 Besides the group projects with which I perform at local places and festivals, I am currently a student in a jazz certificate program which is a great place for me to study jazz, play with ensembles and practice drum set and piano, adhered to the tradition. I am also composing my own music where I try to merge the elements of jazz with the elements of my cultural heritage by making microtonal music, using unique instruments like fretless guitar, local stringed and percussion instruments. I hope I will be publishing them next year. Forecasting my future is a hard thing but I am trying to do the best I can about my musical career. As the next step, I want to study jazz composition and performance in a good music school. I am always searching for new musical ideas and topics. I believe that life will show me the right way to become a professional musician if I don't give up.